As if the limited edition Halo 5: Guardians Xbox One console wasn’t already enough, Microsoft has announced another collector’s edition for the title. 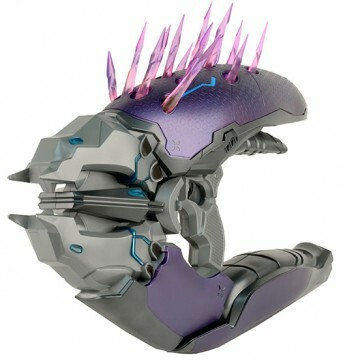 Dubbed the Pink Mist Edition, the set not only only includes the goodies found in the Limited Collector’s Edition, but also a 1:1 replica of the infamous Needler weapon. While you may think that this replica is just another rinky-dink piece of garbage, it’s almost as good as the real thing. It can’t actually shoot needles at your enemies, but it does feature LED lights and sounds taken directly from the game. The real highlight, though, is the fact that the needles pop up and down when in use. As mentioned before, the Pink Mist Edition of Halo 5 comes with everything that was previously announced for the Limited Collector’s Edition. 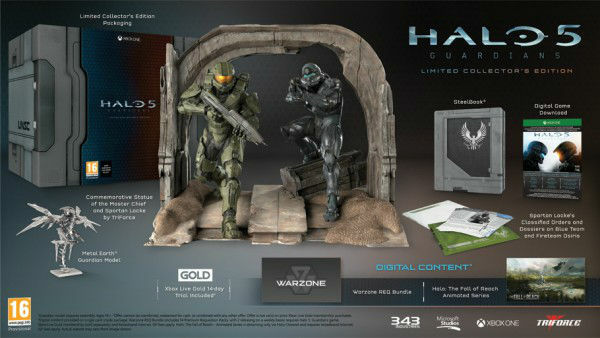 This includes a statue of Master Chief and Spartan Locke, the Halo: Fall of Reach animated series, a Metal Earth Guardian and several other trinkets. Unfortunately, for those outside of Europe, the Pink Mist Edition is exclusive to GAME in the UK. Perhaps the fact that the set will carry a mammoth cost of £450 will help soothe the pain of not having a Needler to call your own, though. Halo 5: Guardians is set to launch worldwide on October 27. Is there any interest out there in the Pink Mist Edition? Or do you think the cost is just a tad bit too much? Let us know what you think in the comments section below.